– дипломирала је 1989. године на Универзитету у Београду ‒ Шумарском факултету, на Одсеку за прераду дрвета са темом дипломског рада: „Планирање изградње објекта „Центар” ‒ Нови Београд применом технике мрежног планирања, уз подршку рачунара”. еколошка проблематика у преради дрвета. од 2015. године запослена на Одсеку ТМП Шумарског факултета као ванредни професор. Руководилац основних студија Шумарског факултета за период 2012‒2015. године. Gavrilović-Grmuša, I., Nešković, O., Điporović-Momčilović, M., Popović, M. (2010): Molar-Mass Distribution of Urea-Formaldehyde Resins of Different Degrees of Polycondensation by MALDI-TOF Mass Spectrometry, J Serb Chem Soc, 75 (5), pp. 689-701. ISSN (Online) 1437‒434X, ISSN (Print) 0018-3830. ISSN: 03525139, DOI: 10.2298/JSC091030036G. Gavrilović-Grmuša, I., Miljković, J., Điporović-Momčilović, M. (2010): Influence of the degree of condensation on the radial penetration of urea-formaldehyde adhesives into Silver Fir (Abies alba, Mill.) wood tissue, J Adhes Sci Technol, 24, pp. 1437‒1453. Gavrilović-Grmuša, I., Dunky, M., Miljković, J., Điporović-Momčilović, M. (2012): Influence of the viscosity of UF resins on the radial and tangential penetration into poplar and on the shear strength of adhesive joints, Holzforschung, 66 (7), pp. 849‒856. Gavrilović-Grmuša, I., Dunky, M., Miljković, J., Điporović-Momčilović, M. (2012): Influence of the degree of condensation of urea-formaldehyde adhesives on the tangential penetration into beech and fir and on the shear strength of the adhesive joints, Eur J Wood Wood Prod (Holz Roh Werkst), 70(5), pp. 655-665. ISSN: 0018-3768 (print version) ISSN: 1436-736X (electronic version). Gavrilovic-Grmusa, I., Dunky, M., Điporović-Momčilović, M., Popović M., Popović J.: “Influence of Pressure on the Radial and Tangential Penetration into Poplar Wood and on the Shear Strength of Adhesive Joints”, BioResources, 2016, 11 (1), 2238–2255. Gavrilović-Grmuša, I., Miljković, J., Điporović-Momčilović, M., Popović, M. (2010): Faktor vatrootporne efikasnosti u zavisnosti od vrste drveta i karakteristika nekih vatrootpornih sredstava, In: Proceedings of The XII YUCORR (CD), International conference: Cooperation of researches of different branches in the fields of corrosion, materials protection and environmental protection, 18-21.05.2010., Tara, Serbia, pp. Gavrilović-Grmuša, I., Dunky, M., Miljković, J., Điporović-Momčilović, M. (2010): Tangential penetration of urea-formaldehyde adhesive resins into beech (Fagus Moesiaca) and fir (Abies Alba, Mill.) wood tisue, In: Proceedings of the 1st International Conference on Processing Technologies for the Forest and Biobased Products Industries, Salzburg/Kuchl, Austria, 07-08. 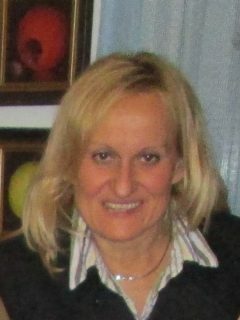 October 2010, pp. 102‒110. Gavrilović-Grmuša, I., Dunky, M., Miljković, J., Điporović-Momčilović, M. (2010): Influence of the molar mass of urea-formaldehyde adhesives on the shear strength of adhesive joints, In: Proceedings of the International Scientific Congress: First Serbian Forestry Congress, Belgrade, Republic of Serbia, 11-13. November 2010, pp.1463-1471, ISBN 978-86-7299-071-3. Gavrilović-Grmuša, I, Dunky, M., Điporović-Momčilović, M., Popovic, M. (2013): Influence of the Degree of Condensation of Urea Formaldehyde (UF) Adhesives on the Penetration Into Wood Tissue and on the Shear Strength of Adhesive Joints, International Conference on Wood Adhesives, Toronto, Ontario, Canada, 9‒11 October 2013.